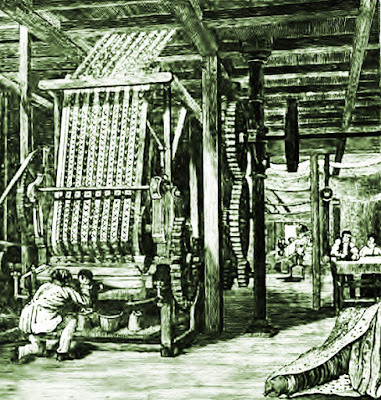 A few weeks ago I did a series on the Cotton Famine during the Civil War, the disruption of world trade with manufacturing regions deprived of raw cotton from the Southern states. 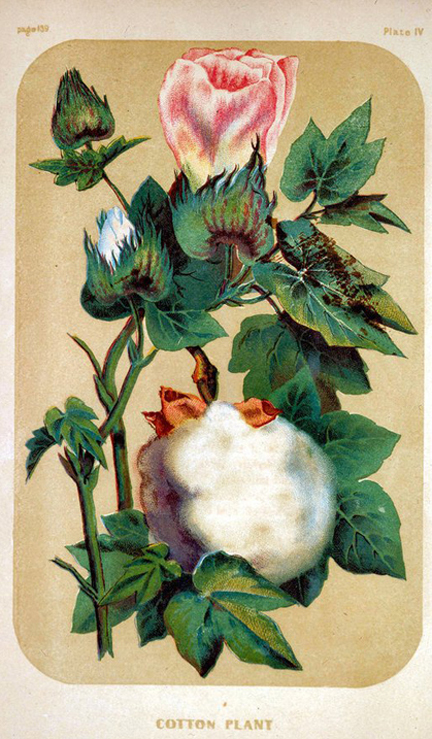 I discussed the price of cotton, the effect in England and unrealistic Confederate political goals. See the links at the bottom of the post. Cotton bales awaiting shipment, about 1910. 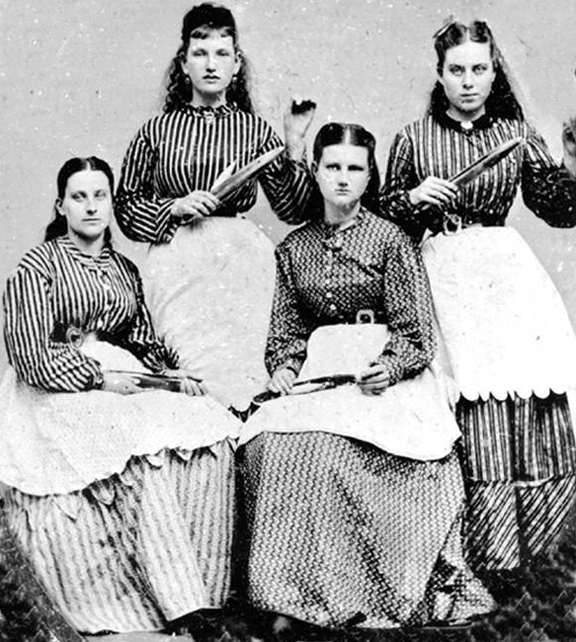 Not much changed in the technology between 1860 and this photo. But I didn't really get into how the loss of raw materials affected the Northern textile mills. 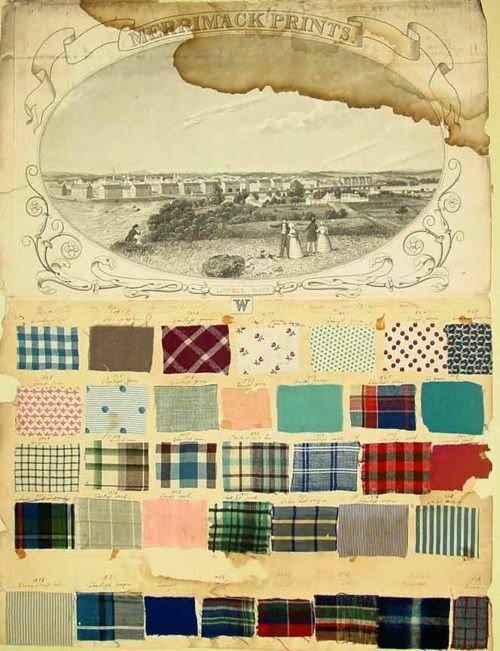 I recently found a summary of the effect on Lowell, Massachusetts in Philip Scranton's book Proprietary Capitalism: The Textile Manufacture at Philadelphia, 1800-1885. Scranton is comparing the corporate complex in Lowell to less structured system in Philadelphia. Lowell was home to ten mills before the war. [Before the Civil War] "The sheer momentum of Lowell production kept each mill rolling proudly onward, short of a collective catastrophe. 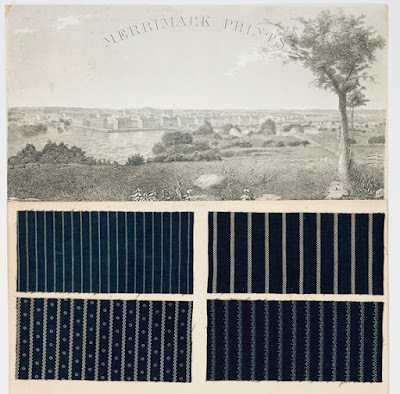 The Civil War provided catastrophe enough....Within weeks of the commencement of hostilities, the directors of the Merrimack Manufacturing Company resolved to cut production and suspended it entirely in August 1861. 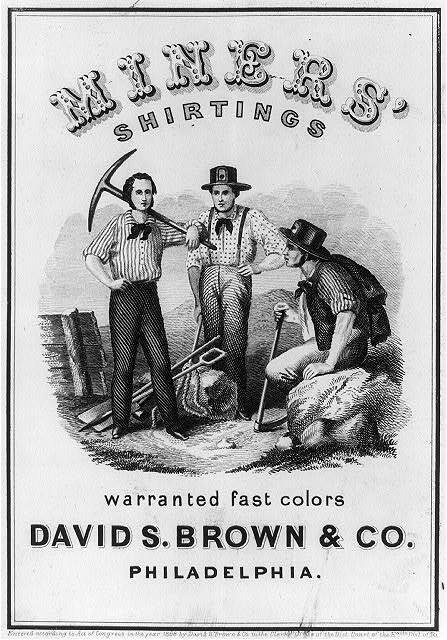 "With the price of raw cotton soaring, and the traditional supply of a year or more of stock on hand, the directors sold bales in the bull market, reaping windfall profits without manufacturing a yard of cloth...Firms disposed of their existing inventories at high prices, multiplying the short run gains. They all banked on a short struggle. "Thousands of workers, laid off indefinitely, left the city...or volunteered for the Union Forces....By 1865 the city's population had declined to 30,990 from the 36,827 tallied in the 1860 census." As the war dragged on past the first year the mills without cotton tried other production. 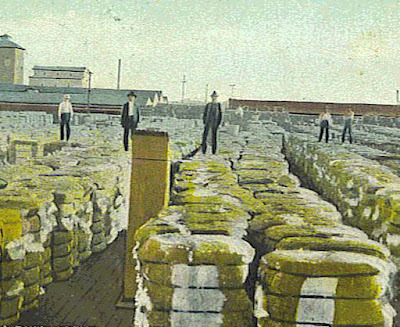 Wool was in demand and there was much American supply but cotton machinery and wool production are not compatible. "By 1865 a number of cotton mills had reopened, buying foreign [cotton] stock at the shocking average price of 87 cents a pound, nearly seven times the 1860 domestic price of 13-1/2 cents." 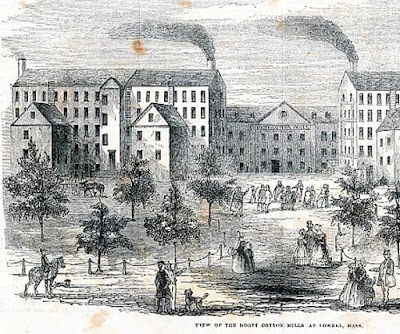 Another statistic: In 1861 the ten Lowell mills counted 11,534 employees. By 1865 there were 5,277. Little has been written about the Philadelphia area mills. Scranton's book focuses on Philadelphia. If you are a fan of books of industrial history there's enough manufacturing information to keep you reading. I am from the North but retired in Arkansas. They still grow cotton here and in the next town over they have an old abandoned cotton gin/mill. My son was able to go in and take pictures. I would think someone would want to restore it but alas it is just left to the elements. All the machinery is still in the building. @Sam I am. Maybe you should contact some local museums to explore this idea.